Many facilities choose to first automate core processes in production before considering the automation process of palletizing. Palletizing robots can bring a number of productivity benefits to just about any facility. Determining when it makes sense to invest in Material Handling (MH) robots involves understanding the many benefits of palletizing robots, including how they streamline production and help meet customer’s changing demands. When compared to manual labor or other forms of dedicated palletizing equipment, palletizing robots have several advantages. They require little floor space but can handle heavy loads from multiple production lines. They’re highly flexible and can adapt to new products and stack patterns quickly. Palletizing robots provide many of the same benefits of all forms of robotic automation. Manual labor requirements are reduced and manufacturers gain more flexibility to handle fluctuating production volumes. Consistency and quality are typically improved with palletizing robots too. There are a number of scenarios when robots can rectify MH issues in production and deliver higher productivity. Manufacturers often find that manual labor can’t keep up with production volumes as the business grows and other forms of automation increase overall throughput. Customers change palletizing requirements, making it difficult for workers to continuously meet demands. It also makes sense to invest in palletizing robots when attempting to achieve greater levels of connected manufacturing. Robots can facilitate real-time data analysis and contribute greatly factory floor insight. Automating the palletizing process makes sense when implementing manufacturing software for continuous optimization. Palletizing robots are often a secondary consideration when automation production processes, but they bring several benefits when compared to manual labor or other palletizing techniques. There are many signs that investing in palletizing robots makes sense for your operation, particularly when they increase productivity, facilitate greater insight, and help meet customer demands. 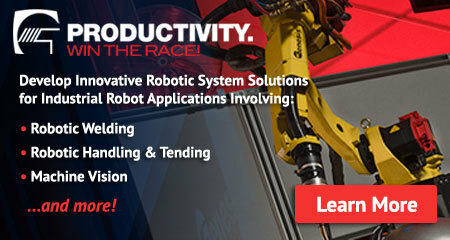 To learn more, continue learning about robotic integration services from Genesis Systems, an IPG Photonics Company.